Highlights of a trip include getting up close to New Zealand’s only colony of Antarctic penguins – the majestic Kings and playful Gentoos. Come face to face with thousands of marine creatures including sting rays, sharks, octopus and more. 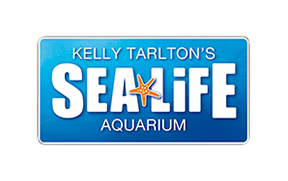 Your trip may include a free lesson session for your class or group, and a self-guided tour through the world of SEA LIFE Kelly Tarlton’s. Self-directed visit – fancy taking your time and going at your own pace? Conduct a self-directed tour around our attraction. Take advantage of our free online resources and daily presentations to add even more to your visit. Classroom session – take an in-depth look into your chosen study topic with one of our marine biologists. This classroom session involves a lesson as well as the chance for students to handle marine artefacts and have a discussion with an expert! Semi-guided tours – take a stroll with one of our marine biologists to introduce you to a few of our residents! This tour takes you into our attraction and through the seahorse kingdom, fish gallery, shark and fish tunnel ending in turtle bay. Based on the educational theme of your choice these are a great way to engage your students in learning about the marine environment. Be sure to book in early for the classroom sessions and semi-guided tours – these are no extra cost but spaces are limited! Seahorese Kingdom showcases weird and wonderful Seahorse species. For more information please visit here. To make an excursion enquiry, please fill in our form here.